Transform your learning and play spaces into vibrant, custom-designed soft fall playgrounds for active young people to learn, grow and play. 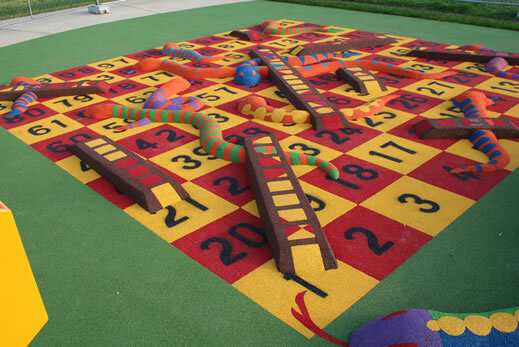 Soft fall is installed in playgrounds throughout the world and in all climatic conditions. Due to its porous nature playground equipment can be used immediately after even the heaviest rainfall. The non-slip surface is extremely durable and will not breakdown, blow or wash away, decompose or hold puddles. Safety in the school ground is paramount. 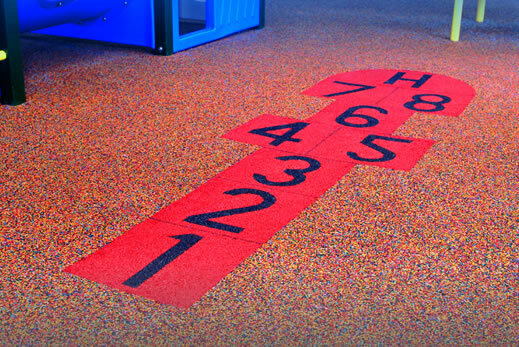 Soft fall can be installed to any required depth allowing for optimum safety for the fall height requirements for surfacing under specific items of play equipment. 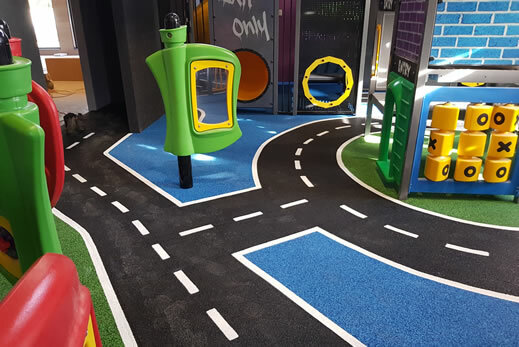 Available in a huge array of colours, soft fall can be customised to almost any design including school crests and vibrant school and playground game zones. To discuss your playground requirements and customised design, arrange a consultation with a member of our experienced Grassports Australia team. Contact us for a customised soft fall playground solution.